Let’s face it—end-of-life planning isn’t fun. The topic can seem morose, depressing -- maybe even a little scary. But it’s also a critical aspect of managing your assets and protecting your family, which is why it’s surprising that nearly 6 out of 10 Americans are unprepared for the inevitable. 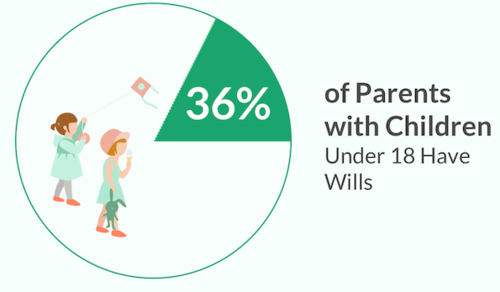 According to a new Caring.com survey, only 42 percent of U.S. adults currently have estate planning documents such as a will or living trust. For those with children under the age of 18, the figure is even lower, with just 36 percent having an end-of-life plan in place. The problem, say experts, is twofold. First, younger Americans are generally unconcerned with their own mortality, which perpetuates the misconception that a will isn’t necessary until later in life. What’s more, Hillis says baby boomers are aware that they should have a will in place, but planning for a possible tragedy is an uncomfortable process that forces people to answer some tough questions. Estate planning attorney Matthew Underwood explains that the whole purpose of a will is to tell a court how to distribute your assets in a special proceeding called probate. The purpose of probate is to give a public notice of death and allow creditors to file claims against the estate. Whatever is left after the creditors are paid goes to the beneficiaries. In the absence of a will, the particular state’s laws of succession direct how property gets distributed. One of the survey’s most surprising findings was that just 36 percent of those with children under 18 have an end-of-life plan in place. This is a potentially devastating oversight. The Caring.com study also asked respondents whether or not they have a health care power of attorney, which appoints a specific individual to make medical decisions for you if you’re incapable of doing so. A health care power of attorney is more common than a will or living trust, with roughly 53 percent of U.S. adults having granted someone this legal authorization, according to the survey. However, demographic disparities play a role here as well. While 83 percent of those over 72 have a power of attorney in place, only 41 percent of millennials can say the same. Again, experts say you should not wait until you’re a senior citizen to get yours in order. “Perhaps even more importantly than a will, everyone over the age of 18 should have a power of attorney,” says Underwood, who points out that once a child turns 18, his or her parents are legally cut off from making some very important decisions. You can work with a lawyer to set up a health care power of attorney and an advanced health care directive, a document that sets out your medical preferences. 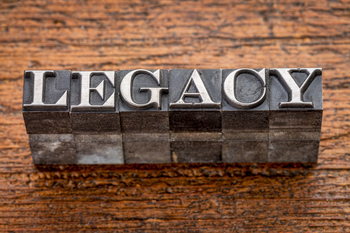 Is estate planning complicated or expensive? Broadly speaking, the complexity and cost of setting up a will or living trust depends on how complex your circumstances and assets are. But generally speaking, a qualified lawyer can draft a simple will and power of attorney for less than $1,000. Know what to expect from a trusts and estates attorney. Consider what to include in your will. Learn how to set up an advanced health care directive.